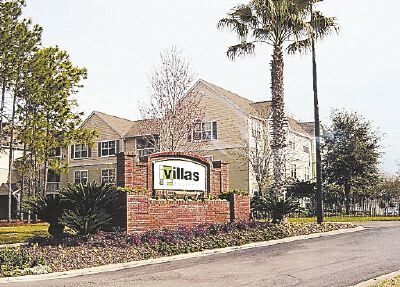 Villas of Timberlin Parc Condominiums in Jacksonville, Florida. Nestled among lush Florida foliage and nature trails, you can enjoy the tranquility of seclusion found in the private gated community at Villas of Timberlin Parc. Convenient to business, shopping and entertainment. Ideally located between the Deerwood and Deercreek Country Clubs, you're just a short drive to the area's hottest beaches. The city's best shopping is right around the corner. Living at Villas of Timberlin Parc keeps you close to everything. Grill by the lakeside gazebo. Hang out with new friends in the Clubhouse that features a 24-hour modern fitness facility, internet cafe and media room. Take a plunge in the resort-style pool. Jog the scenic trails with your loyal companion. Here, you can enjoy it all. One, two and three bedroom condos are available from 704 square feet to 1,299 square feet. Choose from the Sobe, Buckhead, or Tribeca floor plan.